LIGHT AFTER LIFE: Technicians from Nepal Eye Bank prepare to excise corneas from a deceased seven-year-old girl at Pashupati a few years ago. It is just another day at Tribhuvan University Teaching Hospital in Maharajgunj. Three women in white aprons and masks walk through the postmortem ward looking for deceased patients. Despite the overpowering stench, they locate the body of a 26-year-old man who committed suicide that day. 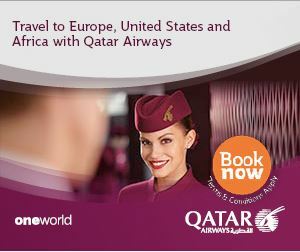 They carefully pry open the eye-lids and inspect his eyes, and nod at each other. Then they approach the family of the young man waiting outside, and start by gently asking them about him. How old was he, was there a reason why he killed himself, was he in otherwise good health? Then they ask the father the most difficult question of all: would he allow them to donate his son’s eyes? The family goes to a corner to talk about it, and finally gives consent. Samita Aryal, Shova Karki and Ram Pyari Karki, are eye donation counselors at Tuth and persuade grieving families to donate the eyes of dead relatives. The job requires empathy, perseverance and excellent inter-personal skills. 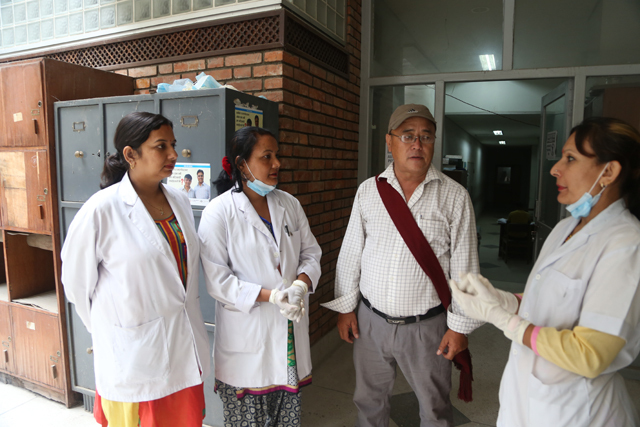 There are five eye donation counsellors at TUTH and Bir Hospital and they belong to the Nepal Eye Bank’s Hospital Cornea Retrieval Programme (HCRP). For the past three years they have been persuading grieving families to donate the eyes of deceased relatives. Eye donation counselors talk to Dambar Singh Limbu who donated his deceased sister Lila Limbu's eyes. Across town at the Tilganga Institute of Opthalmalogy, 17-year-old Pranjal Dhital can see again in his right eye after he receives a cornea transplanted from a dead donor. Pranjal is a little dizzy as he walks out of the operation theatre, but he has a flicker of a smile as he sits up on the bed with his bandaged eye. 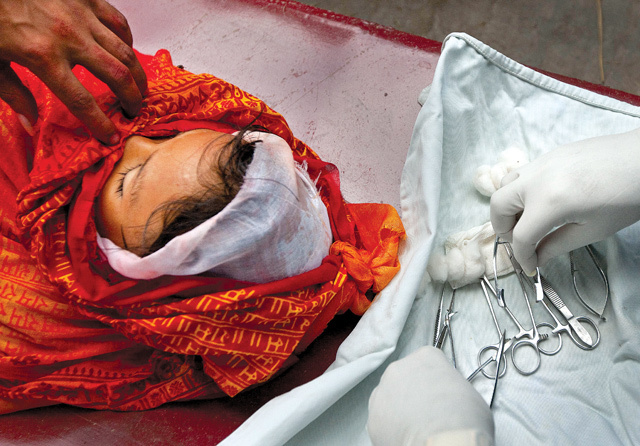 Surgeons operate on Pranjal's eye at Tilganga Eye Hospital. Corneal blindness is the second major cause of loss of sight after cataract in Nepal. But unlike cataract, where the lens of the eyes can be replaced with artificial ones, the only way to treat corneal defect is through transplantation. 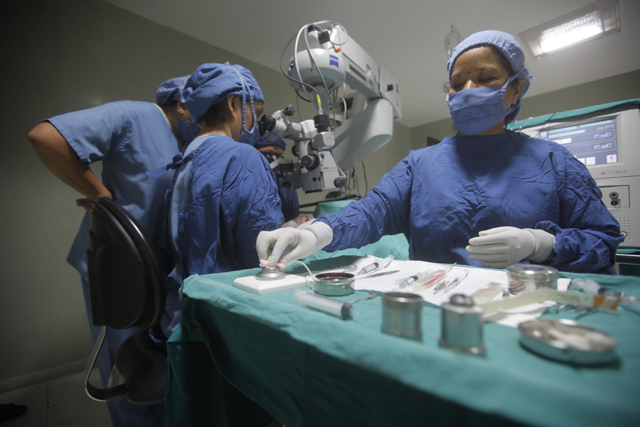 The Nepal Eye Bank has been running its cornea retrieval programme at hospitals since 2013 after being associated with the global non-profit, Sight Life. When it was set up 20 years ago, the bank used to import corneas from the US through the International Federation of Eye and Tissue Banks. Since then it has extracted corneas from the cremation site at Pashupatinath by going from family to family and trying to coax them to donate the eyes of dead relatives. 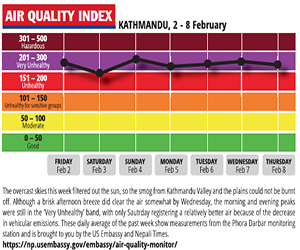 Still, the Nepal Eye Bank admits a lot more needs to be done. Most Nepali families are still hesitant when it comes to organ donation, but through the mass media there is more awareness that their decision can change someone’s life. "We haven't said we won't support other parties"